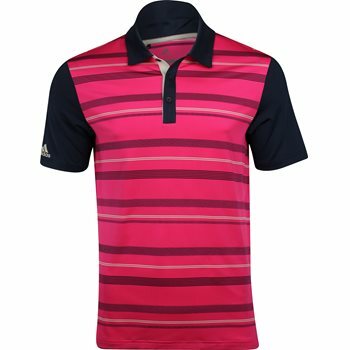 The adidas Ultimate 365 Novelty Stripe Golf Polo is stitched with four-way engineered stretch fabric for freedom of movement. This highly breathable polo also uses moisture-wicking technology to help you stay dry all day. The shoulder seams are edge-stitched for durability. Regular fit is wider at the body, with a straight silhouette.